Im not getting the play others are reviewing about. Every position is solid. 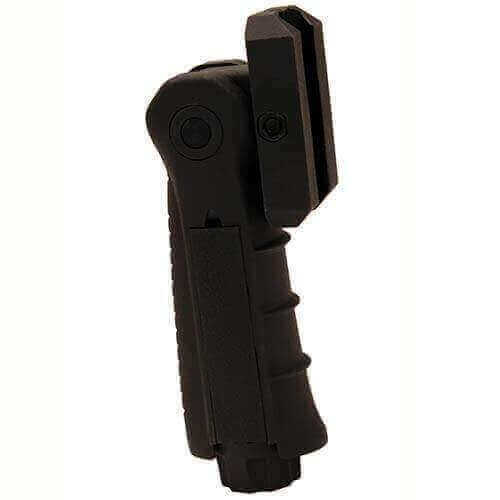 Great solution when you want options, all 3 positions from normal vertical foregrip to angled foregrip to all the way flat is comfortable. My only gripe is my polymer quad rail moves from the leverage but that isnt an issue of this foregrip. Thanks for sharing your feedback. We're so glad you liked it. Fast delivery, great vender, and product works. Thanks for sharing your experience, William. We're glad you're satisfied with your purchase. Cheers! Well made, push button opening is easy and provides a great grip. It took a while for the grip to get here.